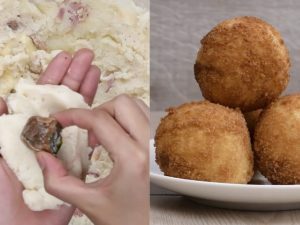 Mashed potatoes and bacon, the tasty ingredients to prepare a tasty bombs. 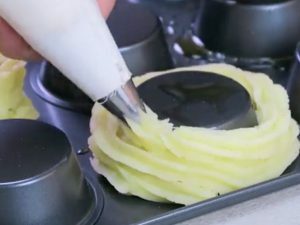 In this recipe there is also a useful tip to make a perfect filling. Ingredients: 2 mashed potatoes, 1/2 cup Grated Cheese, 3 strips Chopped Bacon, 3 tbsp Salt, 3 tbsp Pepper, 3 tbsp Butter, 2 cups Gravy, 3 eggs, 1 cup Flour, Parsley, 1 cup Breadcrumbs. 1)Pour 2 cups of gravy into ice cube trays, sprinkle with parsley. Freeze until solid. 2)Combine together 1/2 cup of grated cheese, 3 strips of chopped bacon, 3 tbsp of salt, 3 tbsp of pepper and 3 tbsp of butter into 2 mashed potatoes. 3)Put the frozen gravy cube into mash potato and make a ball. 4)Dip the ball in flour, then egg, then breadcrumbs and fry at 350F until golden brown. 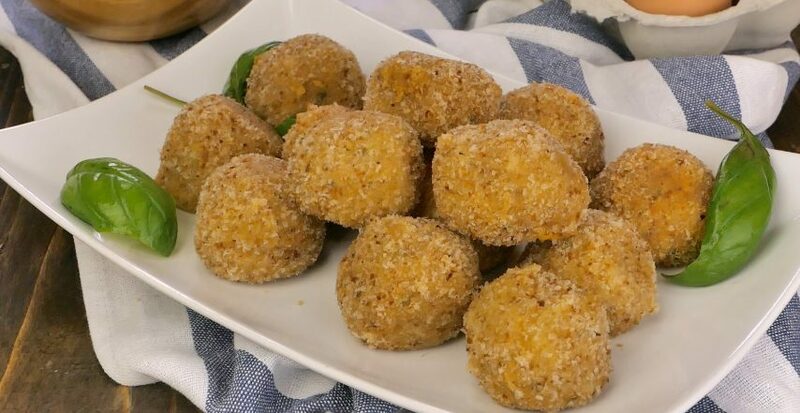 Serve and enjoy these amazing balls. 1. Blend together the cooked lentils with a potato. Mix in the Parmesan cheese and seasonings. 2. If the mixture seems too soft, add breadcrumbs. Make some balls using the mixture. 3. Dip them into the egg wash, and cover in breadcrumbs. 4. Deep fry for about 5 minutes, or until golden. 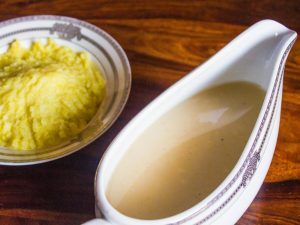 Homemade Chicken Gravy: you can enjoy it with almost every savory preparation! 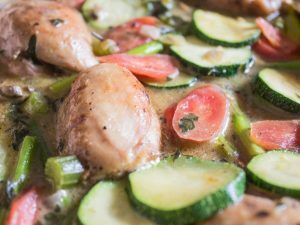 Chicken Fricassee: This is a really filling and delicious way to enjoy the chicken!